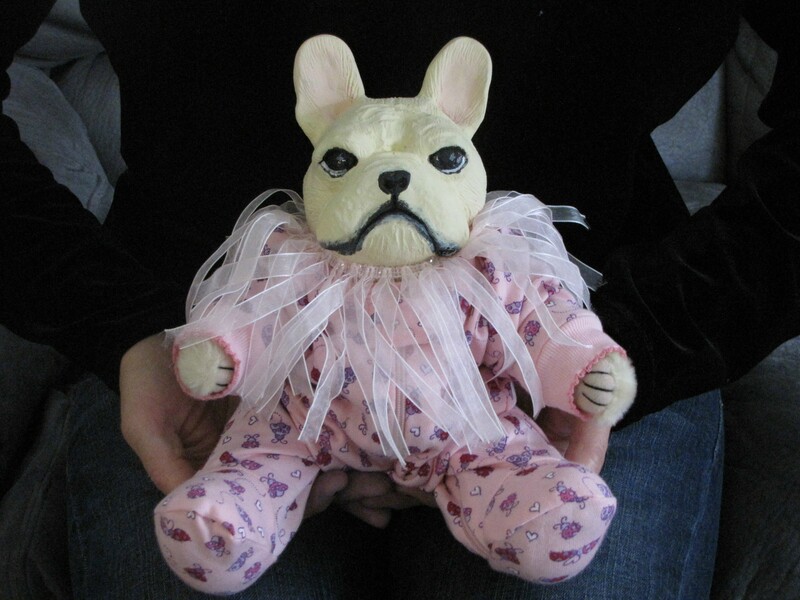 Original art dolls by Lisa. The dolls are a nice size as you can see by the one on my lap. Standing they are about 12 inches tall. The body is filled with a clean gravel to give the body a nice weighted feel. The heads are made from a casting resin that is very durable, they are then hand painted. I do take special request and can paint them any cloror. If you send me a photo of a dog I can paint it to match. All the ones with a buy it button are availble for purchase. I can dress them to be a boy or a girl. This is an example of the size. She is wearing preemie baby pajamas and is on my lap. This one is for sale on ebay. Click the Ebay link below to go to her page. 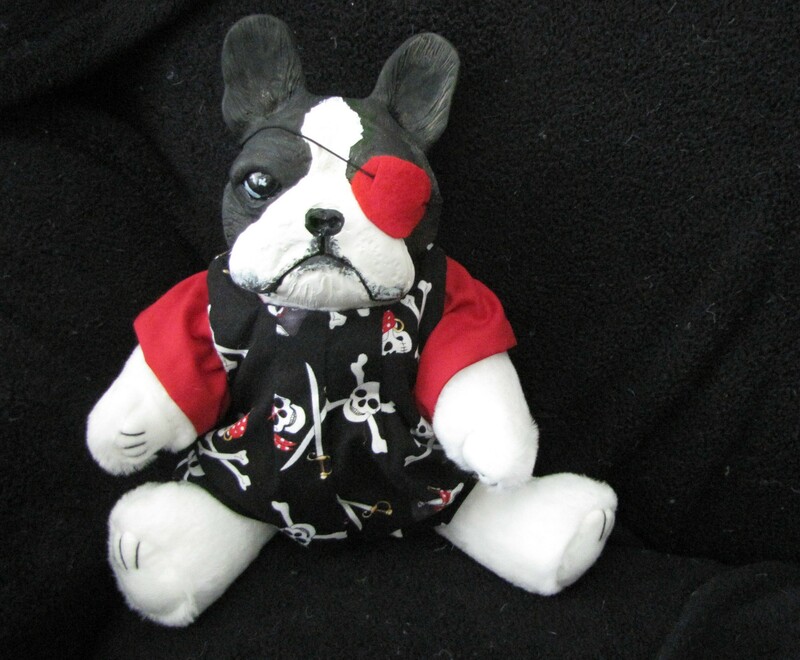 To buy him click the buy it now button or email me. 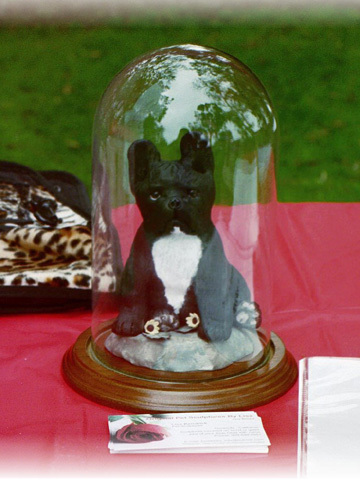 The sculpture above I made for a silent auction for the French Bulldog club of Southern California. This is an example and not for sale.